Collaborative Digital Text Books (cDTB) are emerging artifacts in Swedish schools, combining the quality assured content of traditional paper and digital text books with affordances for multimodal representation of knowledge, differentiated instruction, communication, collaboration, documentation and with varying learning activities. cDTB are meant to cover the content of the curriculum and provide a consistent learning environment. We analyzed and compared design features in five brands on the market 2017. The analytic comparison indicated that the studied cDTB are built on differing notions of how knowledge is represented as well as on how learners and teachers were supposed to engage with the content. The analysis revealed three types of cDTB distinguished by the way the information and social artifacts are designed. Type 1 resembles a traditional text book with limited multimodal representations of content, tools for working with the content, and tools for communication. Type 2, conversely, is rich in all these aspects but still rely on mainly pre-fabricated content. Type 3 takes a radical approach to content production and leaves it completely up to teachers to produce and share content. The result suggests three very different roles and levels of influence for the cDTB users. Regarding content, the study shows that cDTB are more versatile and quality confirmed learning environments in comparison with: digital “book in a box”; learning designs employing scattered digital resources that are not quality assured; and various digital tools that have no clear connection with the curriculum. The paper contributes to practice with the understanding that before starting to use cDTB there is a need to grasp that the choice of digital learning environment is a choice among very different designs. Collaborative Digital Text Books are quite new artifacts that seem to be unique for the Swedish textbook market. In this paper collaborative Digital Text Books (cDTB) refers to coherent professionally produced educational material and learning activities covering content of entire courses in the Swedish national curriculum and with tools for communication and cooperation (Grönlund et al. 2018). In this study, five Swedish cDTB brands we compared are intended for years 7–9 covering “social science” but there are other versions for all academic subjects and levels. We compared all five cDTB brands on the market 2016/2017. The research regarding this type of coherent digital artifacts is still scarce despite the fact that there is a considerable amount of research on other forms of digital textbooks (DTB) and on the employment of scattered digital resources following the development of interactive social software, participatory learning and the spread of those tools and models in the education area like, “Web 2.0” and “Pedagogy 2.0” (McLoughlin and Lee 2007, 2010). The Swedish context will be described to give some background on the development of what we call cDTB since the extended and largely unstructured use of digital resources in Swedish schools has been blamed in the debate concerning possible causes for the decline of school results. 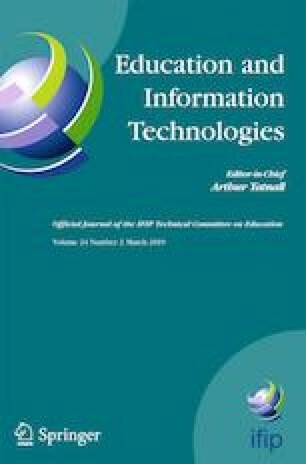 This study investigates what we have called collaborative Digital Text Books (cDTB) from the perspective of what their respective designs suggest and offer in terms of (new) conditions for the learning environment and the information handling. There are currently at least five Swedish publishers producing cDTB in which many interactive and collaborative tools are integrated in different ways. The overall goal of this inquiry was to critically describe, analyze, and compare how these five cDTB are designed in order to discuss how different notions of subject knowledge and of teaching and learning processes are represented in the cDTB and hence shape the social contexts in which they are used. We also intend to discuss the findings of the comparison in relation to how the various designs of learning activities and communicative tools as well as the forms of representations of content shape and are shaped by the notions on “knowledge, “teaching” and “learning” in school practices. The frequent use of digital devices as well as digital knowledge representations is challenged in the Swedish school debate in relation to declining results in international tests. Major changes in the school systems are to be expected. It is hence salient to reflect on what opportunities and challenges different digital designs in learning environments suggest. This paper, therefore, does that by analyzing and comparing the design of five cDTB in social science developed for the Swedish middle school, followed by a discussion of the findings in view of how they affect teaching and learning practices. How are five Swedish cDTB designed in terms of tools for communication and forms for representation of content? What overall affordances do the cDTB provide teachers and learners with, and how do these shape teaching and learning activities and the conditions for learning and school development? What forms of pedagogical ideas can be distinguished in the design of content and activities in each cDTB? Sweden is one of the most digitalized societies globally. The use of digital devices starts early: 80 % of Swedish two-year -olds are regular Internet users (IIS 2017). The practice of employing digital resources in teaching and learning is very widespread in the school system and “digital competence” has become a core concept in Swedish curricula (Skolverket 2018; Ministry of Education 2017). Digital tools like search engines, blogs, vlogs, serious and other games, social media, wikis, podcasts or videos are common in Swedish public schools (Skolverket 2013). The adaptation in favor of digital resources have been expected to solve many problems and create new possibilities like boosting unmotivated pupils, make school work more transparent for parents, foster critical thinking and creativity as well as providing teachers with easy accessible tools for designing apt learning environments for pupils with different needs and dispositions. Since Sweden is a highly digitalized society, it has been argued that schools need to adapt to this development. This is also evident in the Swedish curriculum which can be said to be informed by the ideas conveyed in the OECD agenda “21st century skills and competences” and by the foremost constructivist sociocultural notions on learning. The voucher system makes the schools compete; being able to provide every child with a laptop or iPad has – up to now – been a means of attracting new pupils. A head of school is usually free to choose learning material and can decide which textbooks or other resources should be used in that particular school. Teachers, in many cases, have the possibility to influence decisions on teaching material. The production of text books as well as the fairly new phenomenon of cDTB is run by private publishing houses. OECD has described the Swedish school system as disunited and lacking a national strategy for improving results: A school system must be more than a few thousand autonomous schools (Schleier 2015). Student-centered education models with the aid of interactive social software for communication and peer collaboration have been the ideologically preferred and emphasized pedagogical designs in the curriculum and in school development. This view on educational design is mainly built on constructivist and sociocultural perspectives: the learner is supposed to create meaning of the focused phenomena or solve a problem often by searching for and inspecting various sources of information and then transform it by making new representations on the subject area together with peers Selander and Kress (2010). From this perspective on learning and on “knowledge” the teachers’ responsibilities change from being the main provider and gatekeeper and of “the Knowledge” or “Truth” about the subject matter to becoming what is often described as an “enabler” or a “mentor” and a “designer” of a “learning environment” but with a stressed focus on formative assessment (Black and Wiliam 2009). The use of assessment matrices is in the process of assessment is stressed by Skolverket. The Swedish grade system is influenced by the so called “21 century skills” describing communicative competencies´ in different school subjects rather than measuring to what extent pupils have memorized established “facts”. Some of the arguments that are lifted: (too) extensive use of digital tools like mobile phones,7 the marketized system and the effect it may have on school equity and in terms of grade inflation (Vlachos 2018) self-regulated learning strategies - that are said to leave behind kids that have difficulties with their attention and motivation or come from socio economically disadvantaged families - and the notion of teachers as mentors that no longer have the role as the gatekeeper of what counts as “Knowledge”(Ingvar et al. 2018). There is also an on-going discussion concerning the results of new research in neuroscience in relation to contemporary teaching models that are said not to reflect new research findings.8 Some of the arguments fueling the school debate concerns questions from a foremost “realist” perspective on how “constructivist” and so called “postmodern” notions of learning and “knowledge” have changed school practices negatively and that today “anything goes” as a result of a pluralistic view on “knowledge”(Wikforss 2017; Ingvar et al. 2018). The current grading system focusing on communicative skills in different domains is by some described as foremost enhancing as well as assessing students’ “social and verbal skills” from an personal, emotional perspective rather than as assessing how well pupils have memorized established knowledge in a particular school subject.9 Other voices in the debate defend the current development of digitalization and self-regulated learning following the twenty-first century OECD agenda focusing on transferable generic skills and competences rather than on root learning of fixed knowledge. In light of the brief description of the Swedish setting above we have found it very interesting to compare and analyze the five collaborative digital textbooks on the Swedish market 2017 and how they work by structuring the curriculum as well as proposing learning activities according to pedagogical ideas that are either explicit or implicitly expressed in the design. These new artifacts can be seen as tools for school improvement. They provide users with consistent, adaptable and renewed digital resources as well as learning activities and multimodal representations of the curriculum content and tools for differentiated instruction of curriculum content. Furthermore, cDTB contain tools to support students in their learning: exercises, and navigation mechanisms, chances to have the text read out loud, marking and text annotation, explication of notions as well as tools for communication like chatrooms, wikis, tools for documentation and teacher feedback from exercises, and more. cDTB can also include serious games and other tools that engage the learner in various ways and tools that ease the administrative burden for the teacher. In particular the latter distinguishes them from “traditional” digital text books which are not collaborative and focus on individual students and not on teachers. In brief, “DTB refers to coherent (digital) material covering entire curriculums, and, if collaborative tools are included, they become collaborative, cDTB”. (Grönlund et al. 2018). cDTB are also distinct from LMS (Learning Management Systems) as the latter are mainly repositories facilitating the administration of resources, mainly documents. They do not include intellectual content, and while they may contain administrative tools they do not contain learning tools related to the intellectual content, such as dictionaries, links or exercises. The above distinctions are made in order to focus on the role of collaborative digital textbooks in school. Unlike digital resources, which focus on limited areas, cDTB create the conditions for the entire learning environment and for how learners will engage with the curriculum content. Even though cDTB are much more up-to date than traditional books and accept inclusion of content and tools by the teacher, the fact that they provide both a comprehensive content and communication tools pertinent to creating a digital learning environment – the rules and limitations for interaction among teachers and students – gives them a prominent role in school, as they have the potential to serve as powerful tools for the teacher and learner (Rodríguez et al. 2015; Grönlund et al. 2018). In relation to other digital resources, such as websites “2.0” and learning management systems with various features and tools, digital textbooks are designed to provide pupils with some form of quality warranted content in relation to the set learning outcomes of a particular school subject. Over the past few years, digital textbooks have developed from being static “books in a box” (pdf files, e-books) to collaborative digital environments enabled by Web 2.0 technologies (Horsley and Martin 2015). The probably most discerning feature of cDTB in comparison with pdf files is that cDTB are built on a central database. As a consequence a cDTB is updated continuously in close collaboration between users and providers. The designs are continuously expanding in terms of creating various teaching and learning tools and activities that enable users to do a lot more than mere reading (Rodríguez et al. 2015). Today cDTB contain tools for student personal support, text manipulation, communication between students and teachers, in addition to teacher support for planning, assessing, administrating and monitoring. In Sweden, where this comparative study took place, a constructivist and sociocultural perspective on teaching and learning is informing the national syllabus and teacher training.10 In the syllabus learning is described as a collaborative interactive process. The theoretical underpinnings come from three strands of research; the role of textbooks and the use of multimodal representations in schools from a social semiotic perspective (Banks 1993; Bezemer and Kress 2009; Bezemer 2010, Jewitt 2005, 2008, Kress 2001, 2004, 2005, Kress and Selander 2012; Selander 2016; Rodríguez et al. 2015; Åberg and Åkerfeldt 2017) and critical epistemological perspective on knowledge formation (Fleck 1979). and the role of technology in work processes in general and school work in particular (Lee et al. 2015). From our overall perspective, any designed learning instrument or environment like a cDTB needs to be understood not just as a more or less efficient “tool” or “method” for learning but as a complex socially evolved vehicle which is supposed to support learning of a particular understanding of the matter in focus. Every educational instrument is shaped by different historical notions of “teaching”, “learning” and “knowledge” and about the “activities” that are supposed to result in “learning”. From our critical perspective, learning is an overall ongoing phenomenon when people adapt and sophisticate their ways of dealing with different aspects of the social and physical environment without even being aware of any learning going on. The learning of a particular subject matter in school is a partly different phenomenon since it requires social arenas shaped by societal arrangements and power relations where a particular knowledge is socially negotiated, accepted, spread and endorsed as something pupils or citizens ought to know. In this process knowledge is transformed and mediated by means of representation. From this view teaching could be described as the act of focusing learners’ attention on the legitimized content by designing a learning environment and by monitoring and assessing how (well) learners engage with the afforded resources. Recognized or scientific “knowledge” is always mediated by different forms of representations that work by focusing our attention on particular aspects of a phenomenon. Pictures, 3D models, algorithms and written texts have different logics and convey partly different forms of information concerning the phenomenon in focus. This means that the design of a representation in a textbook is not arbitrary. It will have consequences for what can be learnt and how (Kress 2001). Different learning activities and forms of representations shape diverse forms of agency for the participants in a learning environment. Some representations are possible to understand and use by a learner without the guidance of a more experienced person. Other forms are symbolic models of the object and require a teacher that can interpret and transform the representation into learning activities for the pupil. By using endorsed artifacts like textbooks in schools, knowledge becomes standardized, and unified into a single voice, the recognized view of the subject matter. The textbook provides teachers and learners with a key to the curriculum against which their own verbal and written representations can be measured (Rodríguez et al. 2015). Not long ago, representations of a subject in textbooks were held as objective mirrors of reality, enclosed and explicated by scientists in print or other symbols. The representations were considered the “right” or “truthful” way of perceiving, describing and explaining the phenomena at hand, also conveying norms and values (Fleck 1979; Banks 1993; De Castell et al. 1989; Bezemer and Kress 2009; Bezemer 2010; Pingel 2010). The fixed representations made use of in educational settings shape the relationship between teacher and learner, rendering it foremost instrumental: the student is required to copy the representations as accurately as possible in order to show the teacher that s/he has followed the reading path, and transferred the sanctioned canonical knowledge represented in the textbook into her memory. The teacher, on the other hand, has to perform the role of a gatekeeper in order to protect the norms conveyed in the textbooks and assess students’ achievements according to these norms (Fleck 1979; Banks 1993; Pingel 2010; Kress and Selander 2012; Selander 2016; Åberg and Åkerfeldt 2017). Conventions and traditionally held ideas about the one-and-only “truth” or “meaning”, and thus even the role of science in the production of knowledge, have been challenged in society together with power relations and authorities. Many of our previously held beliefs about the possibility to represent (social) “reality” objectively in systems of signs, such language or mathematics, were tested during the 1960s’. Radio programs, films, pictures and TV programs appeared as cogent vehicles for learning in school and these representations opened up for discussions about the events represented. Consequently, written language lost some of its superior function when it came to the idea that it could “mirror” events (Kress 2005). This development also gave the teacher a more active role as a designer of a learning environment choosing various forms of representations suitable for the pupils. The learning design set by the teacher had to establish a link between the curriculum and the new learning resources. With new non-written representations, the learner was given a more active role processing the content by making their own representations together with peers, and not just remembering facts individually (Selander and Skjelbred 2004; Selander and Kress 2010; Ellis et al. 2011). Representations of knowledge and the possibilities for students to produce their own representations of understanding have changed dramatically with the development of digital tools like video, photo, audio etc. Interactive digital representations distributed across the Internet have a different potential for collective meaning making than the written words and pictures in a textbook. For example, the way in which the concept of “democracy” is represented in an educational game gives other possibilities for learners to try, assess and develop their understanding of the democratic election system than would repeating and memorizing the words on “democracy” in a textbook. A group production of a wiki employing various communicative modes can enable the learners to make meaning and create a collective representation of what is being learnt. Information and communication technology includes not just additional knowledge representations; it also provides communication tools and learning activities which mean new options to design interaction patterns in the learning environment. This brings us to the next part of the theoretical underpinnings, the information system artifact. Use of technology in teaching and learning, as in any activity, can be assessed from different perspectives. Lee et al. (2015), drawing on the design science theory (Simon 1996) define the “IS artifact” as being comprised of three parts (sub-artifacts), each one subject to human design: the technology artifact (a tool that serves a purpose), the information artifact (occurrences of communication that involve an exchange of data that makes meaning to the participants) and the social artifact (interactions among individuals involved in the process at hand). This is a useful model to apply in teaching and learning contexts, as it shifts the focus from technology itself to include also the context in which it is used. Technologies do not appear out of the blue; any technology is shaped by its use over time. The information artifact concerns how we handle information in teaching and learning processes, where the following questions need to be considered: what materials do students have? How is information passed on from teachers to students and from students to teachers? What information about students’ learning is gathered and communicated? To whom, in what form, when? How is information designed so as to be functional in the use context? The social artifact concerns how teaching and learning work is organized. How do teachers communicate with students? How do students communicate with each other? How are learning environments designed and knowledge represented? The technology artifact has some properties of its own that influence its use, such as usability, processing capacity and speed, technical robustness, and security. The empirical research on professionally produced digital textbooks for schools is still scarce (Rodriguez et al. 2015). A review of the current research (2009–2018) on “digital textbooks” as well as “collaborative” + “digital textbooks” was carried out in EBSCO and Google scholar and we did not find any comparative studies on how the design of different cDTB shape teaching and learning environments, knowledge/content, agency and activities. There is however some international research describing the policy informing the use and development of cDTB /digital textbooks in different countries and educational sectors (Rodríguez et al. 2015) and one article analyzing the use of cDTB in the Swedish context (Grönlund et al. 2018). 2.3.1 Digital resources or digital textbooks? The terminology used in research literature when addressing digital learning resources is not consistent or well defined: “e-books”; “u-learning environment”; “open educational resources” (OER); “SMART learning”; “open textbooks” and “on-line-courses”; ´“mobile learning applications”; are some of the most frequently occurring terms when discussing non-printed learning resources and features available on the Internet. The conflation of terms makes the literature search complicated and the results come up as imprecise and not easy to compare critically since the term “digital textbook” is often used without a clear definition or as a synonym to any of the above listed terms: However a majority of the relevant studies we found focus on features and functions of the particular digital resources in terms of how to design an interface for learners as well as tools for collection of data (Kim et al. 2010a, 2010b; Ebner et al. 2016; Kao et al. 2016; Li and Tsai 2017; Railean 2017 “learning analytics” on student behavior and learning outcomes. The assumptions concerning learning as a phenomenon or how content is expressed in different representations are very rarely discussed. The research on digital resources is often built on accounts of how it ought to work from a user friendly technical perspective or what is to gain or lose from employing a particular resource in education from a foremost economical point of view, in terms of results or student satisfaction, engagement and grades (Greenhow et al. 2009; Moody 2010; Reynolds 2011; McFadden 2012; Mardis et al. 2012: Huang et al. 2013; Krämer et al. 2015; Bando et al. 2017; Diener et al. 2017; Ryu, 2017; Benoit 2018; Bikowski and Casal 2018; Qin et al. 2018). There are some studies focusing on learning outcomes showing some positive effects on student performance in relation to printed textbooks in Korea and USA and on reading speed. (Lee et al. 2015) A majority of the studies we found concerning some type of digital textbooks have studied students’ attitudes in higher education towards using these artifacts; and the efficacy they might have on learning outcomes and student motivation; on how cDTB can provide digital tools for analysis of student behavior during learning; reading patterns and overall engagement with the content; self-guided and collective learning processes (Weisberg 2011; Rockinson-Szapkiw et al. 2011, 2013; Juncon and Clem 2015; Li and Tsai 2017; Romig 2017; Öngöz and Mollamehmetoglu 2017). A French study analyzed how math teachers design a digital mathematical textbook analyzing how the process is carried out (Gueudet et al. 2016). In Italy researchers followed and evaluated how teachers produced digital material and textbooks and analyzed teachers’ beliefs and attitudes upon notions like “studying”, “textbooks” and “digital texts”. The overall aim was to capture innovative aspects, but also to look at difficulties and obstacles along the path of innovation, not always so clear and well defined. (Anichini et al. 2017). In a recent study of how cDTB were used by teachers and learners in Swedish school, the particular tools for collaboration were used very little; and learners and teachers were not even familiar with their existence. Most employment was individual, learner worked by them with the digital material. Learners read or listened to the content but did not actively employ tools for annotation and marking. Most teachers did not use the affordances of the cDTB. The provided new features of these artifacts are not yet incorporated in teaching and learning practices (Grönlund et al. 2018). What is often missing from the research we found concerning digital textbooks (in a wide sense) is a critical discussion on how knowledge and learning are represented in different designs and the educational consequences of each design: The majority of the studies we found are built on a constructivist perspective on learning stressing individual motivation, engagement and assessment and systems for feedback as salient features promoting the use of digital textbook. The use of multimedia is discussed as something that enhances the experience and motivation but is often not analyzed in relation to learning or knowledge formation. In the empirical studies, we found hardly any discussions regarding how knowledge is chosen or represented - for instance which modes for communication were employed to convey different types of information or narratives (in written language, in moving or still pictures etc.). What pupils are supposed to learn by employing the various resources is often discussed in terms like “how reading on a screen changes the speed and capacity to recall the content” but the representation of content is not addressed or the agency of the learner employing the resource. It seems like the conventional view on learning does not provide a conceptualization of how content is represented or how communicational arrangements shape meaning-making, teaching and learning. In the studies we have read, content seems to be regarded as mere “facts” and are hence not problematized. That might be one of the reasons for not comparing the overall designs and representations of content in relation to other possible outlines. Research on traditional (paper) textbooks has a longer tradition when it comes to problematizing and analyzing content in terms of how a particular subject matter is constructed and how pupils make meaning thereof (Rodríguez et al. 2015). The overall design of a digital resource could be built on an explicit notion about how to represent knowledge and learning processes in various semiotic modes of communication (Kress 2005) but our literature search shows that this is not common. Instead we found more or less implicit ideas concerning these issues which emerge in the actual design of a particular resource as well as in the design of the research studies of these recourses: How a subject matter is represented in a particular manner is mainly left without any particular explanation. Knowledge and content seems to be perceived as neutral facts that are supposed to be transferred from the digital resources to the minds or behavior of the learners as smoothly as possible. From our point of departure, design issues are important to address since textbooks are employed as valid vehicles for learning in institutional settings. The design of a particular content not only shape what can be learnt, but also the learning environment, as well as the way students and teachers act and interact in classrooms (Rodríguez et al. 2015). The content of a textbook is regularly employed as “key” to the learning outcomes of the curriculum which learners’ performances are measured against (de Castell et al. 1989; Valverde et al. 2002; Jobrack 2011). Transforming the traditional printed textbook into a collaborative digital textbook consequently involves much more than a simple renaming of a signifier; it involves a reinterpretation of meaning, functions in school and the future but these questions are seldom addressed concerning cDTB in the literature that we found (Horsley and Martin 2015; Rodríguez et al. 2015). The inquiry started with an analysis of the emerging Swedish market for collaborative digital textbooks in compulsory schools. We decided to study the design and functionality of all five Swedish brands by way of inspection and comparison of the various features from the perspective of what their respective designs suggest and offer in terms of (new) conditions for the learning environment and the information handling. The general hypothesis guiding the analysis and comparison is that the varying representations of curriculum content as well as of the provided learning activities and tools represents different pedagogical ideas. The respective designs have consequences for the roles and agency of teachers and pupils. The analytical questions below are the vehicle for comparison of the various designs – and were put together from our overall aims and theoretical perspective of the study: This abductive analytical process can be described as an iterative procedure when the researchers go back and forth between data and theory: the theoretical delimitation of the studied phenomenon direct the attention on particular features of the objects of analysis that are supposed to be salient for the understanding of the phenomenon and in order to find patterns and overall categories (Aliseda 2006). The five cDTB were then compared and analyzed by a set of criteria based on information systems artifact theory (Lee et al. 2015). This theory views ICT (information and communication technology) as being comprised of three sub-artifacts: one technical, one informational, and one social. CDTB cover many school subjects. While the content obviously varies across subjects, each brand of cDTB maintains a uniform general design and set of digital tools across school subjects. We selected social sciences because this subject is characterized by the use of multimodal resources: text, images, video, audio, etc. from various sources (e.g. international organizations, NGOs, news media, social media, etc.) and they provide teachers and learners with many different learning activities and tools for communication. Which communicative modes are employed when representing different parts of the curriculum? Are teachers/learners able to add /hide/search content? What tools are there for teachers to design a conducive learning environment for their students? How can learners work with and reflect on their learning process in the different cDTB? What tools are there to enable teachers and learners to manipulate the content for different groups of students in terms of complexity? Are teachers and learners able to communicate within the different cDTB and with the producers of cDTB? Can learners produce their own material and share it with teachers and peers? What tools are there to enable teachers and learners to adapt, save, and store communication and knowledge representations? Are there tools for assessing students’ progression? Are there tools for formative feedback? Are the tools and functions easy to learn and use? Can they be used in and outside of the classroom? How difficult is it to get started and find your way through the material/sections? Due to the limited space it is not possible to present an overall description of the five studied cDTB. We have chosen to use the analytical questions and the three types of cDTB designs that emerged from this procedure as the representation of the results of the inquiry. The following section presents an overview of the different cDTB organized by the theoretical perspective, the “IS artifact” (ISA). The ISA is comprised of three components, the information artifact, the social artifact and the technical artifact. As for the information artifact, cDTB contain both subject content and tools for working with that material. Students are provided with tools for marking text, searching and making comments, and creating word lists. Teachers are provided with tools for monitoring, assessing, and grading students’ work and for at least partially redesigning the subject content. As for the social artifact, cDTB contain various tools for communication between teachers and students (and vice versa), among teachers, among students, and with the cDTB provider. The technical artifact is the “package” in which all these tools are contained. Aspects of the technical artifact include the usability of the various tools and the technical qualities, for example robustness and speed. Below we compare the tools offered by the various cDTB for the information and social artifacts. In this study technical artifacts were excluded from the analysis as our point is to bring up principal pedagogical issues concerning the new offers of cDTB. The affordance of the tools will obviously also depend on the quality of the design of the tools, for instance, how easy to use and how effective they are. How complicated and time consuming they are in relation to other modes of communication like verbal communication in the classroom or plain paper and pen. The design of the tools will also have consequences for the relations between teachers and learner; however, here we are interested in the potential changes to the practices of teaching and learning, therefore we focus the analysis on the informational and social artifact. The “information artifact” concerns what information is involved and how that is produced and designed. In terms of the overall design the five studied cDTB come in three very distinct types. Type 1: Traditional text book in digital format (Liber). Curriculum context is mainly represented in written language with some addition of illustrations. The “collectiveness” is mainly employed in the production process when users inform the publishing house during the revision of content. Type 2: Traditional content represented in written text and in multimodal configurations but also including various tools for teachers to add material in an integrated way, as well as online feedback channels from users to providers (Digilär, ClioOnline, Gleerups). Type 3: Learning environment focus. This is a “bottom-up” model where teachers themselves provide all content using a pre-defined digital format which is subject to design and research to become an effective learning environment (LinEducation). Curriculum content is represented both in text and multimodal configurations. These different formats suggest very different roles for teachers and learners. In type 1 design, the traditional teacher and learner modes are supported by the design of the representations and the core activities are reading and writing, with some added digital resources in relation to traditional written books. The content of this type of cDTB is typically validated by the producer/publishing house, and the teacher is not supposed to add anything to the overall representation of the matter in focus, at least this is not promoted by the design of the product. The teacher is supposed to be, first and foremost, a consumer of a pre-fabricated textbook, and is assumed to use it like it was intended by the producers, much in the same manner as with printed textbooks. On the other hand, the knowledge representations are more dynamic since both content and form can be changed by the publishing house more easily in relation to traditional printed textbooks. The learners are supposed to get all their information from within the cDTB, and any fact checking then is done by the producers. Type 2 is designed to provide complete and validated content in relation to the curriculum but extends the teachers’ toolbox with the ability to add material and, in some cases, also edit the pre-provided content. This suggests a more active teacher role. Learners also have the possibility to process the content individually as well as together with peers and represent their own learning process in various ways. Type 2 design enables learners to interact with peers and the teacher in various ways; for example, there are tools that enable them to follow and reflect on their learning process, which is not feasible in type 1. Users can reduce or enhance the complexity of the written information, and they can search for additional knowledge representations of the matter at hand. Type 3 is the most radical model compared with traditional production of textbooks. This model provides a pedagogical format but leaves the entire production of representations for learning to teachers who volunteer to produce learning modules. Quality control and validation of content is by means of ratings by other teachers/module users, rather than, as in the other formats, mainly by pre-screening. The design process of the content is very different from the other two types since the commercial producers only provide an overall structure, a toolbox for creating a digital learning environment, for the teachers to work within. That said, because type 3 material is also interactive, teachers have online access to both content providers and cDTB designers and can suggest quality improvements in both content and design. The content aspects include how all aspects of the curriculum are covered: how the content is integrated in “surrounding” content, such as through links to other sources, to what extent teachers can edit or append it, to what extent it is multimodal, and its “currency”; how it is adapted so as to become “live” to students e.g. by highlighting current events or debates. Table 1 provides an overview. The presentation formats are different between the three types of cDTB, but also within the type 2 cDTB there are considerable differences. Type 1 cDTB presentation is rather basic including search function and the opportunity to listen to the text. Type 2 cDTB includes multimedia, more advanced searching and some interactivity allowing users/students to re-configure the content in different ways. Examples of differences within this type include availability of text at different complexity levels, integration of supporting features like word list in the text, and different levels of allowing students to interact with the content, such as creating their own word lists or making notes. Type 3 cDTB has limited functionality within each module, as these are created by teachers, not pre-provided. Tools for searching, for example, are available globally to search for modules but not for content within them. While type 3 provides lots of opportunities for teachers to design their own teaching material, they provide fewer tools to students compared to type 2 cDTB. Search box internal and external (Google, Wikipedia, Lexin) Only exact match internally. Table 2 Providing an overview and comparison of presentation aides. Neither type 1 nor type 3 cDTB are very interactive regarding students’ relation to the texts. This is at least partly due to the content production model. Providing interactive tools is complicated, and because type 3 content producers are teachers rather than IT professionals, provision of complicated tools must be limited. Also in this category, there are considerable differences among the type 2 cDTB with Digilär providing more interactive tools for students than the other two (Table 3). Yes. Automatic save by chapter and in students’ own page. Yes. Automatic save by chapter and in students ‘own page. In the category of tools for teachers we need to distinguish between teachers as users of the tool and teachers as content providers. Type 3 cDTB provide (voluntary teacher) content providers with all the rights to produce content but is more limited when it comes to offering tools to classroom teachers using the system. Type 2 cDTB provide more tools for user teachers, such as adding material, sharing material, and online support. When it comes to editing the pre-provided material, Digilär is, again, more interactive than the other type 2 cDTB by allowing classroom teachers not only the opportunity to add material but also to hide pre-produced material. This is a function that we have found many teachers asking for as they consider it important not to overload students with reduced capability of some kind, e.g. dyslectics (Grönlund et al. 2018). Table 4 charts the teacher tools included across the studied cDTB. The social artifact concerns how the teaching and learning environment is set up, that is, how students and teachers can communicate. While the information artifact has some role in providing information in various formats, we include only tools directly aimed at communication in the social artifact. In this category, the type 3 tool is by far the most advanced (Table 5). This type follows a pedagogical model focusing how learners’ engagement with the content, each other’s and the teacher rather than on the content per sé. Communication between teachers and students, as well as between students themselves, is a fundamental feature. That is why chat rooms are available, rather than just a comment option, as they give users possibilities to respond to comments which are included. Type 2 cDTB are communicative in several different ways. They provide statistics about student performance to teachers. Digilär is again the most advanced in that category by providing more ways for teachers and students to add material, such as creating their own word list, developing a portfolio, adding new questions to quizzes, and more. Our analysis showed the importance of analyzing the content and form of cDTB in detail. They are not all the same and different designs render salient consequences for teachers and learners in various ways. The cDTB we compared contain different tools, different materials conveyed in varying communicative modes like text or moving images and hence support different ways of learning curriculum content. The analytic comparison of the five cDTB indicated that they are built on differing notions of how knowledge is represented as well as on how learners were supposed to engage with the content. We found three different types which can be distinguished by the way the information and social artifacts are designed. Type 1 cDTB most resemble traditional textbooks with limited multimedia content, limited tools for working with the content, and no tools for communication. Type 2 cDTB are rich on all these aspects but still rely on mainly pre-fabricated content. Type 3 artifacts take a radical approach to content production and leave it completely to volunteer teachers to produce and share content modules. This suggests three very different roles for the cDTB users, teachers as well as learners (Table 6). Adapt content and learning environment. Adapt the complexity of the content in relation to the current ability of different learners. Knowledge recipient who is supposed to represent the norms conveyed by the cDTB as accurately as possible. Co-produce learning environment Represent and reflect on their learning process in relation to set goals. At a general level, type 1 cDTB reassemble a traditional textbook in providing complete content and traditional digitalized tools for working with that material. This leaves teachers and students with traditional roles. Teachers are supposed to create a conducive learning environment outside of the cDTB in which students are inspired and supported in acquiring the knowledge contained in the cDTB. By a very different design, type 2 cDTB provide an interactive digital environment in which students and teachers can choose among a large set of tools for working individually and together, not only with the material pre-provided but also with other material they choose to include. Which tools to use and how to use them is mainly up to teachers and students to agree upon? Through using these tools, the learning environment becomes blended including both digital and non-digital elements. This also means “the classroom” can extend both physically and temporally to include other rooms in the school, the homes, and non-office hours. The overall design of type 2 also provides the teachers and learners with tools which enable them to store, share and reflect on their work and their knowledge representations over time. This will assist other stakeholders, like teacher colleagues and teacher students, parents, principal and researchers who will be able to closely follow and assess the work of individuals, groups or an entire class, something which is virtually impossible in a traditional learning environment built on foremost verbal interactions and notes written on paper. The sharing of “data” within a cDTB will provide more opportunities to follow the teaching and learning processes in ways that are not feasible without digital resources. This increases teachers’ opportunities to re-design the learning environment, since they can go back and re-evaluate the learning process based on the stored data. Learners can share their representations with their peers and parents, reflect on their own learning process, as well as discuss how their work is assessed and graded by teachers. If ethical considerations and regulations are met, the data can be used by researchers for different types of analysis. Type 3 cDTB are much less standardized than the other two types, leaving much more room for teachers to provide content and design the learning environment. They are also more demanding as they leave content design, production, and quality control to teachers who volunteer to do so. Other teachers can just use the material provided. As Table 6 illustrates, the types are not levels on a scale but focus on different things and are built on different designs of content as well as of the tools available. As type 3 cDTB focus on the teachers producing and sharing material, they cannot provide as many digital tools for text manipulation as type 2 can. This is for both technical and content production reasons; for example, production of a portfolio requires integration across different parts of the content, and as type 3 cDTB rely on many content providers this is difficult. Therefore, choosing among types of cDTB requires a discussion on how teaching and learning should be conducted, and what kind of learning environment, digital and physical, would be most conducive to achieving that. In the following section we discuss some aspects of that. Just like traditional text books, cDTB have the potential to make teaching more consistent across schools and teachers, with regard to concerns of content and work methods. From our theoretical perspective these artifacts can be seen as meta level representations of both content and learning activities that are assumed to enhance learning of a particular subject matter. The consistent design of a cDTB furnishes us with the possibility to share pedagogical ideas and knowledge representations which are otherwise hidden from inspection or lost in space when acted out in individual classrooms and over the Internet. The overall communicative structure provided by a cDTB might be a very important affordance for school improvement strategies: The highly decentralized school system in Sweden, according to the OECD, has had negative consequences for the Swedish position in Pisa rankings (Schleier 2015). Schools and teachers are to a high extent left alone when it comes to developing their teaching and designing learning environments. cDTB are a technology in development, and they are not, to our knowledge, yet compulsory anywhere. There is currently an increased demand for cDTB however. This is due to the alternative of letting teachers compile their own set of material for all courses which is both time consuming and risky. Moreover, it results in material with huge variations in coverage, methods, and quality. Although using non-validated Internet resources can be very motivating for teachers and learners, it can steer attention away from the content of the curriculum. On one hand, internet sources can prompt certain aspects far off the norms and goals conveyed in the curriculum but on the other hand, the use of non-validated resources may add to learning environments that involve critical thinking and reflexivity. The design of cDTB type 1 and 2, for better or worse, creates and imposes a more unified voice and a particular reading path on teachers and learners; while type 3 leaves much more of the content production to the (designer) teacher. As the short presentation of the Swedish school debate showed there is currently a movement towards more control of what and how students learn in relation to conventions knowledge representations, and the need for coherent and quality-controlled designs seems to be growing. The debate however is often polarized and built on personal experiences and categorical reasoning for or against “digital resources”, “conventional objective facts” or “socio constructivist” ideas on teaching and learning. The debate as well as school development is in need of more particular “data” like detailed representations of how a particular learning environment with its knowledge representations and learning activities is designed. Maybe the artifacts we call cDTB can function as a tool for a more constructive debate and a continuous analysis of how different ideas can be incorporated into the design. The explicit design opens up the discussion. New technologies have also changed the text book production system. Paper text books were typically written by one or two (teacher) authors, providing a manuscript to a publishing house which would then produce a “hard”, unchangeable, artifact to be used for a long time. New production processes include teams of different professionals: curriculum experts and authors, animators, directors, composers, programmers and market people. They work together not only to design an initial digital product but also over time to redesign it as changes to content are called for and as new digital tools for supporting learning become available. Even users, teachers and students, are included in the design, so they can report errors and suggest changes. The product is no longer “hard” but subject to ongoing development. The production of a cDTB is a dynamic collaborative process: a continuous re-configuration of the shape as well as of the content in relation to the feedback the team gets from teachers and learners, in addition to changes in day-to-day events, technological advances, as well as the progress of knowledge influencing the curriculum. Our analysis showed that type 1 is more fixed and less flexible than type 2 and 3. Type 3 is dynamic in relation to the teacher-as-designers” ideas but less flexible when it comes to input from other professionals like curriculum specialists or research. We did not find any explicit accounts of how or even if research is informing the design process. The development of cDTB could benefit from bringing research in to the design. The inclusion of learning analytics into cDTB would have many advantages: It can make it feasible for teachers as well as for researchers to gather information about how learners develop their abilities to produce apt representations of knowledge and how their performances are affected by the particular designs of the learning environment and activities that learners are supposed to engage with. It could also lead to a more informed discussion on how knowledge is being transformed by means of representation over time and with different communicate modes like still and moving pictures, 3D models or written texts. The analysis could be done with the use of anonymized data, gathering learners’ representations and using meta data. In much of the research literature on ICT in education, and even more in media, digital tools are often seen as automatons, replacing the teacher in guiding students through individual learning, as opposed to being a tool in a learning process, where the teacher is present and active. For example, Roblyer and Doering (2010) suggest that five main functions have historically characterized digital learning resources: drill-and-practice software, tutorials, simulation software, instructional games, and problem solving. In a similar vein, Sjödén (2015) suggests that digital-added values come in four kinds: how the technical products represent knowledge, how they interact with students, what role they give the students, and to what extent the tools support collaborative meaning making processes involving the teacher, as well as peers working together. Many digital learning resources are indeed self-instructing, cDTB are directed at both teachers and students. They provide content and tools which teachers can adjust in various ways to fit the situation or to extend and elaborate the content as it is represented within the cDTB. The development of cDTB will probably support schools in fulfilling The Swedish Education Act that states that the education should rest on scientific grounds and proven experience and that the different needs of children should be taken into account when planning education. It is also stated in the Act that children and students should be given support and stimulus so that they develop as far as possible. The cDTB can support teachers and schools when trying to individualize the content by the different tools and the possibility for differentiated instruction. From our perspective learning is never a value-free transformation of true representations of the world transferred to the individual with the aid of a written text. Instead teaching and learning is always value-laden, and any educational tool or representation of information is made from a particular view, hence excluding other possible forms of representations and activities (Banks 1993; Valverde et al. 2002; Fitzgerald 2009; Pingel 2010). This view of learning makes it salient to analyze how the design of the tools and the content shape the process of teaching and learning, as well as the production and dissemination of the views that can be automated. We regard teaching and learning as a social endeavor, requiring social interactions transferring values and particular perspectives of the world. In order to understand how the digitalization changes teaching and learning, we need to problematize how the content, as well as the teaching and learning process, is designed and represented within these technical products and in relation to traditional textbooks. The forms of representation will have significant effects and in future research projects particular representations can be compared. As technology in school expands to include not just information but also communication functions of various kinds, the view of the learning environment must also encompass the digital communication involved. Technology changes how we communicate and interact and how we can store and re-assess different interactions and new designs affect classroom activities. Teaching has traditionally been a foremost verbal practice, where teachers and learners address each other orally in class with comments, instructions and assessments that are lost as soon as they are spoken. Digital communication changes this. Different forms of written or recorded communication distributed across various digital platforms are increasingly applied within school settings and can be analyzed by the participants themselves or by researchers. This is clear when we look at cDTB type 2 which contain tools for storing and sharing data, but less so with the other two types. It seems that it is not self-evident for teachers how to employ these new features in their work (Grönlund et al. 2018). CDTB can be used together with other digital tools in ways that were not possible with traditional tools like pen and paper. Students’ and teachers’ possibilities to produce various forms of representations in different modes and different media have also changed the phenomenon we talk about as “teaching”, “knowledge” or “learning”. Digital textbooks re-shape teaching and learning practices in many ways. Knowledge representations shape, synthesize, emphasize, and communicate complex information in different ways that are embedded in the cDTB designs, and that will have an impact on how teachers and learners can act and interact. This is clear when we analyze the affordances of cDTB type 2 and 3 particularly, but less so when analyzing cDTB type 1, where learning is no longer so much about reciting or rewriting the content of textbook. Students today have many opportunities to find different sources of information, and to represent and communicate meaning in new ways that fit their interests, even though not all representations will be recognized as signs of learning or as legitimate knowledge (Kress, 2001; Selander and Kress 2010). cDTB provide learners with different tools for representing their learning process, and this will have consequences for their learning in many ways. The cDTB that we analyzed can be seen as various mixes between the traditional text books and the use of various digital resources, as well as employing cDTB help teachers and learners to find a shared focus of attention in relation to the set goals of the curriculum. This could save time in relation to employing varying representations that are not quality controlled. On the other hand, valuable discussions on what counts as knowledge in a particular subject might not be a fixed representation. Problematizing digital material from various web sites, and discussion of the claims made, seem to be activities that are occurring more frequently in classrooms. Discussions about the claims in a printed textbook are, however, rarer, and typically activities for researchers (Valverde et al. 2002; Fitzgerald 2009; Pingel 2010; Ellis et al. 2011). CDTB come to use in different social practices that create various conditions for meaning making and interaction. The development of platforms that enable teachers and students to materialize and store their communication as written texts and comments or as voice recordings or video footage will change how teaching and learning are carried out and what is being learnt. RQ1: How are five (Swedish) cDTB designed in terms of tools for communication, forms for representation of information? We found three different types which can be distinguished by the way the information and social artifacts are designed. Type 1 cDTB very much resemble a traditional text book with limited multimodal representations of content, tools for working with the content, and tools for communication. Type 2 cDTB; conversely, are rich in all these aspects but still rely on mainly pre-fabricated content. Type 3 artifacts take a radical approach to content production and leave it completely up to teachers to produce and share content. RQ2: What overall affordances do the cDTB provide teachers and learners with, and how do these shape teaching and learning activities, roles and agency and the conditions for learning and school development? RQ 3: What forms of pedagogical ideas can be distinguished in the design of content, tools and activities in each cDTB? There are fundamental differences suggesting very different roles and activities for teachers, as well as for learners. Type 1 cDTB is traditional in providing complete content and traditional, if digitalized, tools for working with that material. This leaves teachers and students with traditional roles. Students are recipients of knowledge. Teachers are supposed to create a conducive learning environment, outside of the cDTB, in which students are inspired and supported in acquiring the knowledge contained in the cDTB. Type 2 cDTB, on the contrary, provide an interactive digital environment in which students and teachers can choose among a large set of tools for working individually, and together not only with the pre-provided material, but also with other material they choose to include. Which tools to use, and how to use them, are up to teachers (mainly) and students to agree upon, as the learning environment are co-constructed by teachers and students. Using these tools, the learning environment becomes blended by including both digital and non-digital elements. This also means “the classroom” can extend both physically and temporally to include other rooms in the school, the homes, and non-office hours. Type 3 cDTB are much less standardized than the other two, leaving much more room for teachers to co-create both the content and the learning environment. They are also more demanding, as they leave content design, production, and quality control to teachers. In conclusion, the study shows that the different types of cDTB are not levels on a scale but focus on different things. As type 3 cDTB focus on the teachers producing and sharing material, they cannot provide as many digital tools for content manipulation as type 2 can, for both technical and content production reasons. This paper contributes to the literature by displaying a new step in materials for school use which cannot be understood as “books”. We show that digitalization is not solely about “going digital”. There are different designs conveying various ideas on how to represent knowledge and learning processes. These differences need to be scrutinized since the designs affect learning opportunities, the agency of the users and how a subject area is represented. A contribution to practice is the understanding that before starting to use cDTB there is a need to understand that the choice of digital environment is a choice among very different designs. This requires a discussion of how teaching and learning should be conducted and what kind of learning environment, digital and physical, would be most conducive to achieving that. One limitation of this research is that it only investigates books on the Swedish market. There are different views in different countries on how education should be designed so we would welcome similar studies from other countries. There is also need for empirical studies of the use of different cDTB. We have elsewhere published a small study on this topic (Grönlund et al. 2018). Even though the empirical study concerns only Swedish cDTB the discussion of the implications of different designs of digital learning environments is generalizable because they concern people’s relation to technology which is the same in all countries. The tools are the same, usability issues are the same. The instantiations studied here are just different combinations of technical tools and design best practices available and used everywhere. It is education that is situated, and hence the ways in which the cDTB are adapted to suite specific national traditions and regulations and the theories of teaching and learning that inform curriculums. The described debate is a compilation of arguments gathered from multiple sources and gives a rough picture based on often stated opinions in newspapers, TV and radio-debates books, blogs, and in social media. See Matta (2014) for a discussion concerning scientific representations in education. Rikard Böö, assisted with data analysis. Rickard.boo@oru.se Örebro University Örebro, Sweden. IIS Swedesh Internet Foundation (2017) The internet habits of Swedes in the report Swedes and the internet 2017 https://internetstiftelsen.se/press-english/the-internet-habits-of-swedes-in-the-report-swedesand-the-internet-2017/. Retrieved 2019-03-24. Kanselaar, G. (2002). Constructivism and socio-constructivism. https://www.researchgate.net/profile/G_Kanselaar/publication/27690037_Constructivism_and_socioconstructivism/links/09e4150ed5012dd589000000.pdf. Retrieved 2019-03-23. Li, L., & Tsai, C. (2017). Accessing online learning material: Quantitative behavior patterns and their effects on motivation and learning performance https://doi.org/10.1016/j.compedu.2017.07.007. McLoughlin, C., & Lee, M. (2007). Social software and participatory learning: Pedagogical choices with technology affordances in the Web 2.0 era. http://researchbank.acu.edu.au/fea_pub/2050/. Retrieved 2019-03-23. Rockinson-Szapkiw, A. J., Holder, D., & Dunn, R. S. (2011). Motivating students to learn: Is there a difference between traditional books and e-books? Retrieved from http://digitalcommons.liberty.edu/educ_fac_pubs/185/. Retrieved 2019-03-23. Schleier, A. (2015). How Sweden”s school system can regain its old strength Retrieved 2018-07-29 http://oecdeducationtoday.blogspot.com/2015/05/how-swedens-school-system-can-regain.html. Retrieved 2019-03-23. Skolverket (2013). It-användning och it-kompetens i skolan (IT use and IT competence in school). Rapport 386. Skolverket. http://www.skolverket.se/publikationer?id=3005. Retrieved 2019-03-23. Skolverket (2018). https://www.skolverket.se/publikationer?id=3005. Retrieved 2019-03-23. Vlachos. J. (2018). Trust based evaluation in a market oriented school system http://www2.ne.su.se/paper/wp18_01.pdf. Retrieved 2019-03-23.